Janet Hyde holds an MBA from the Ivey School at Western University and has specialized in planning for academic organizations for 20 years. 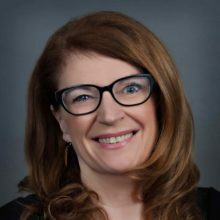 Janet brings a thorough understanding of the academic environment and commitment to education from her full-time teaching at Ryerson University and Mount Royal University, multiple part-time teaching experiences and her consulting with post-secondary institutions since 1997. Recent projects include college-wide program planning linked to labour market needs, organizational change management, business planning, and diversity action planning. Janet grounds her recommendations in research, proven processes and extensive internal and external stakeholder consultation to support the achievement of client objectives. The effectiveness of this approach is demonstrated by the many successful projects, long-term client relationships and repeat business Academic Strategic Directions enjoys.